Washington has accused Russia of being “in part” a reason for the temporary halting of the Syrian peace talks, muddling the official UN statement in order to back their claim, and failing to identify other reasons which contributed to the suspension. 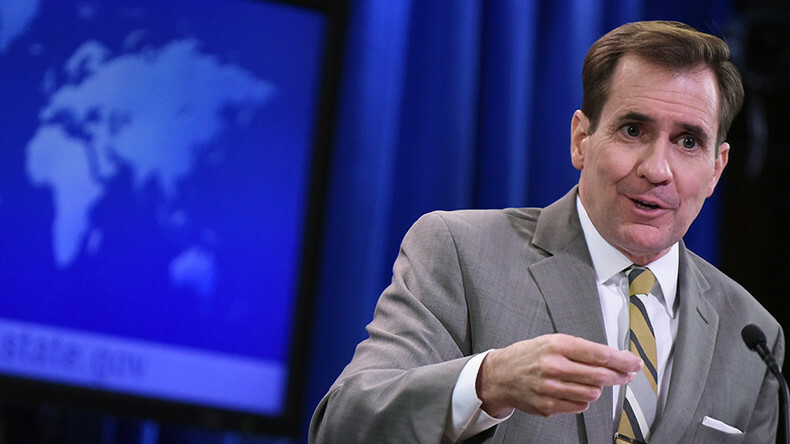 Opening Wednesday’s briefing, State Department spokesperson John Kirby spoke of Russia’s strikes in Syria as being aimed “almost exclusively on the opposition” before leading into comments about the UN’s pausing of the Syrian peace talks until February 25. “I said in part because of the disruptions to humanitarian aid and the continual attacks on civilian targets,” Kirby replied, referring to the UN’s statement, during which de Mistura was stressed that the suspension was only “a temporary pause” and not the end or failure of the talks. However, Kirby appears to have played loosely with the official statement here. “He [de Mistura] did cite the difficulties that the military activities by Russia and the regime are having in terms of demonstrating a good faith effort by the regime to have negotiations and talks, but I’m not privy to every issue that they’ve raised – the opposition has raised with Mr. de Mistura,” Kirby told Lee. This comment came soon after the UN mediator suspended the peace talks just two days in, citing differences between the Syrian government and opposition delegations on the priority of humanitarian issues. 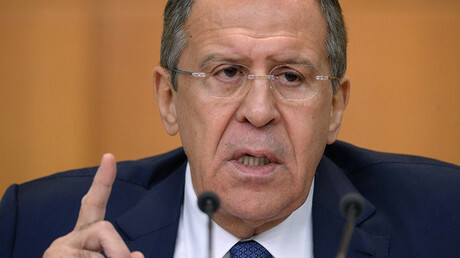 “I’m saying to an impossibility through military activities and other reasons for the fact that the humanitarian signals which are meant to be sent to the Syrian people – for instance lifting of the sieges, for instance the access for all the places which are at the moment unreachable – should be seen,” he said without mentioning Russia’s military. RT correspondent Gayane Chichakyan asked the State Department to clarify “which groups were under attack” that Kirby referred to in his opening statement. The decision to postpone the Geneva talks came as the Syrian government forces ending a 3.5-year siege of the Shi’ite towns of Nubul and al-Zahraa, moving one step closer to recapturing Aleppo. “I believe this will change the equation there and it could be a turning point. Aleppo is actually very close to falling, partly or fully, to the hands of the Syrian official forces,” Abdel Bari Atwan, editor of the London-based Al-Quds Al-Arabi newspaper, told RT.